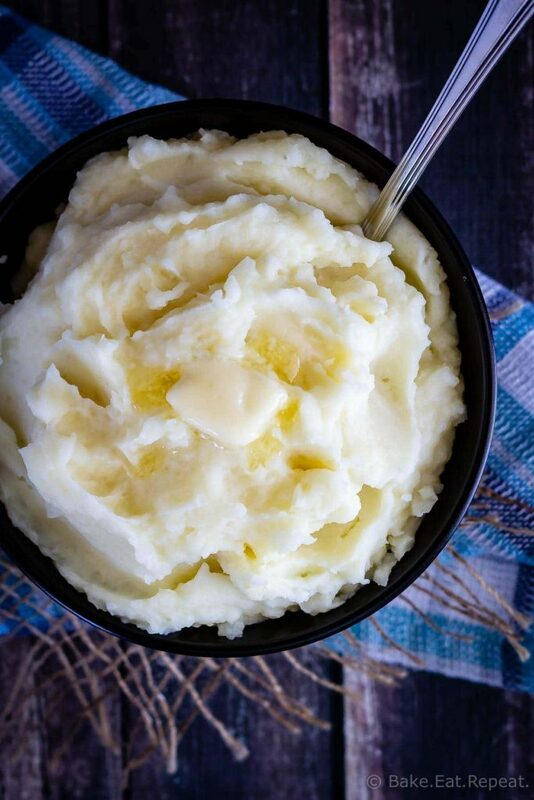 Creamy Instant Pot mashed potatoes are so fast and easy to make, and can even be made ahead of time – the perfect side dish for Thanksgiving! So….I’ve never been great at making mashed potatoes. I love making turkey dinner for Thanksgiving and Christmas. This lemon rosemary brined turkey is fantastic. The stuffing and gravy? No problem. But mashed potatoes? Not my strong point. When Thanksgiving dinner is held at my house, I typically delegate out the mashed potatoes to someone else. What can I bring? Mashed potatoes. Then everyone won’t be disappointed in mine. So clearly I needed to rectify this. Everyone can make mashed potatoes so why were mine always awful?! I’m pretty sure that my problem has always been the amount of time that I cook the potatoes for. If you don’t cook potatoes long enough, they end up as lumpy mashed potatoes. I’ve discovered that if you cook them until they seem done, and then cook them even longer until they’re absolutely falling apart, then they’ll be good. So Instant Pot mashed potatoes are the way to go for me. 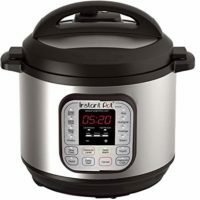 The Instant Pot can cook potatoes in 2-3 minutes. So for Instant Pot mashed potatoes, I cook them at high pressure for 5 minutes. This way they’re falling apart tender and they mash easily into creamy, smooth mashed potatoes. I can finally make mashed potatoes myself for turkey dinner. And they’re even good. What potatoes are best for mashed potatoes? Higher starch potatoes, such as russet or yukon gold potatoes, produce the smoothest, fluffiest mashed potatoes. 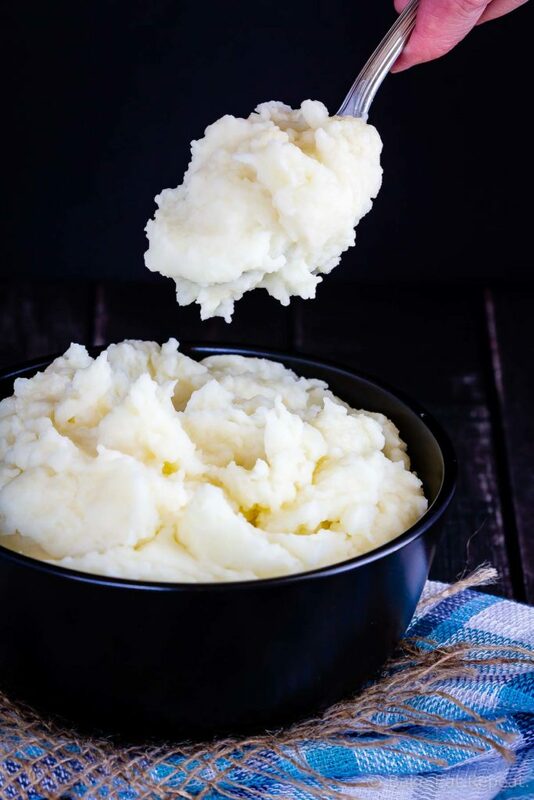 I typically use russet potatoes – mostly because that’s what my father-in-law told me to use, and he makes amazing mashed potatoes so he must be right! How many potatoes is 2 pounds? 2 pounds of potatoes is about 6 medium russet potatoes. If you have a kitchen scale, the best way to make sure you’re using the right amount is simply to weigh your potatoes and use approximately 2 pounds for this recipe. You don’t need to worry about being too exact here – if my 6-7 potatoes are 2.2 pounds, I still use all 6 or 7 of them! 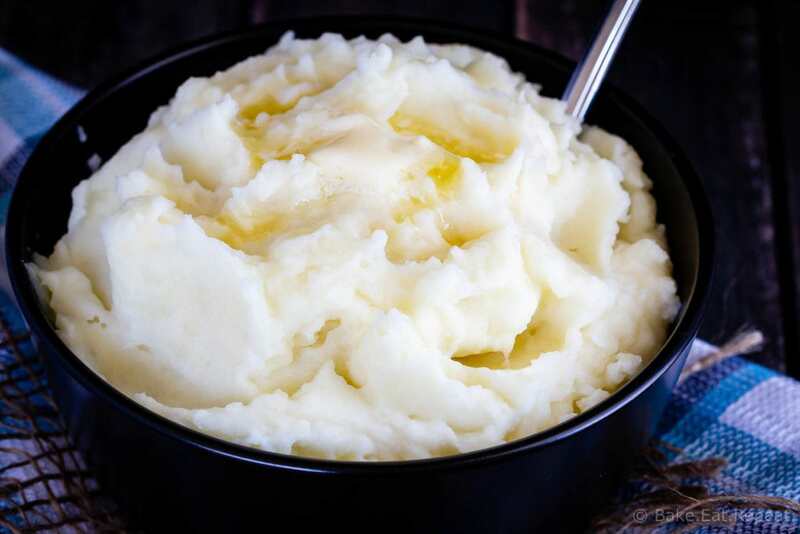 Typically you should use 1/3-1/2 pound of raw potatoes per person for mashed potatoes. Obviously this will depend on the people – but it’s a good starting point. This recipe can be easily increased to cook for more people, although as it’s written it makes about 4 servings. Yes! Mashed potatoes can be made a day or two ahead of time and refrigerated. To reheat them, mash them with the milk and sour cream and then refrigerate. When you want to reheat them, place them in the buttered crock of a slow cooker and reheat on warm (or low, depending on how hot your slow cooker is) for 3-4 hours. Mine runs pretty hot, so I do low for 1-2 hours and then lower it to warm. 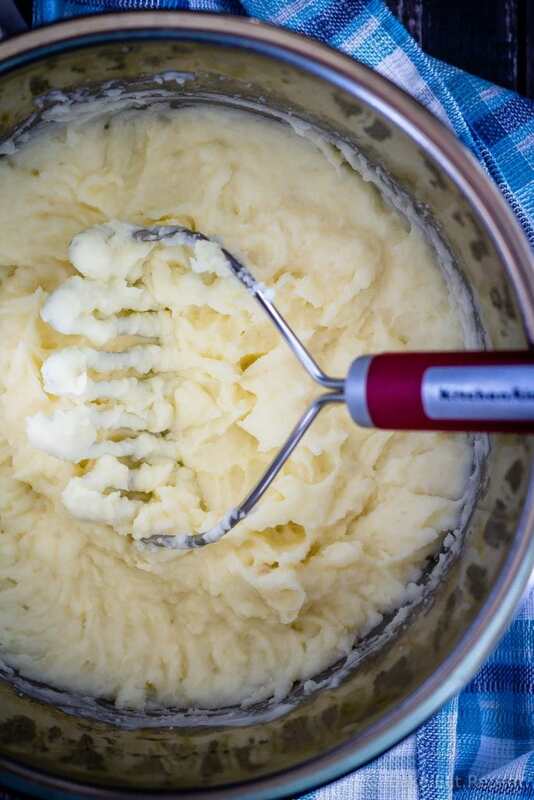 When you are ready to serve, add the butter and whip them until smooth. You can also reheat them in the oven in a tightly covered casserole dish at 375 degrees F for 30-40 minutes. For this method, cut the butter into small cubes and place it on top of the potatoes. Once they’re warm, stir or whip them to combine and serve. I have an 8 quart DUO Instant Pot, but this recipe would be the same in a smaller one. You can easily double or triple the recipe, as long as the potatoes don’t fill the Instant Pot more then 2/3 full. If you want to make these potatoes early on the day you’re serving them, you can keep them warm in the Instant Pot on the warm setting for 3-4 hours. Leave the butter out when initially mashing them. Then when you are ready to eat, you can re-whip them with the butter to refresh them. 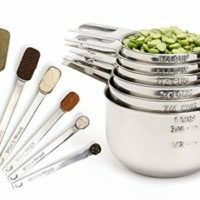 I’ve tried several different potato mashers. 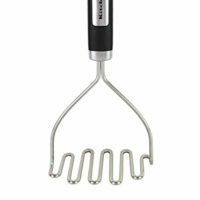 The kind I like the best, that seems to give the best consistency is this potato masher. I usually whip the potatoes with an electric mixer after mashing them to make sure there aren’t any lumps remaining. 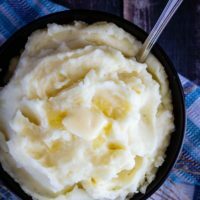 Creamy Instant Pot mashed potatoes are so fast and easy to make, and can even be made ahead of time - the perfect side dish for Thanksgiving! Place the peeled and quartered potatoes in the Instant Pot. Add 1 cup water, place the lid on the Instant Pot and lock it into position. Make sure the vent is in the sealing position. Cook the potatoes at high pressure for 5 minutes. Quick release the pressure and drain the water from the pot. Add the milk, sour cream, butter, salt, and pepper and continue mashing with the potato masher until the potatoes are smooth and creamy. You can also use an electric mixer to whip them if you like and make sure no lumps remain. Keep warm in the Instant Pot on the “warm” setting until ready to serve. If they are warming for a long time (2-3 hours), leave the butter out until you are ready to eat, and whip it into the potatoes right before serving to refresh them. If you want to make the potatoes ahead of time, mash them with the milk and sour cream and refrigerate, then warm them up and whip them with the butter right before serving. You can warm them up in the Instant Pot on the “warm” setting. I don’t own an insta pot, and probably never will, but these mashed potatoes are beautiful! Starchy potatoes are great, but I also love chunky, peel included mashed potatoes using red or white potatoes. Hi Mark - I don't have any Pinterest buttons on my site right now, but am hoping to find one I like soon. You can download a browser extension from Pinterest so you can pin anything you want though. For this recipe, here's the pin link for you: https://www.pinterest.ca/pin/433682639114340198/. You can also follow me on Pinterest if you like where I pin all my recipes: https://www.pinterest.ca/bakerepeat/.